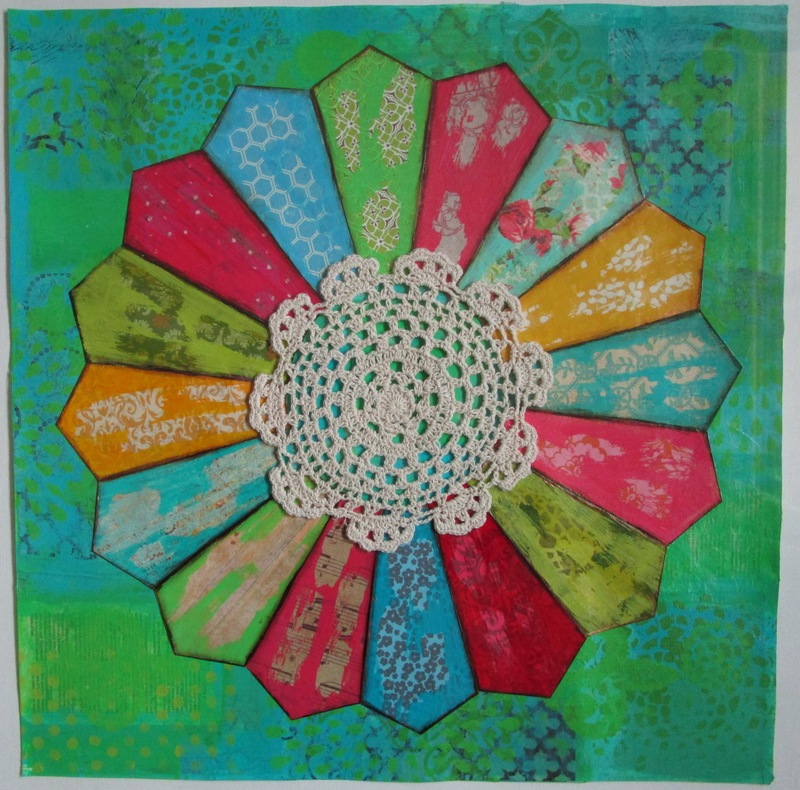 Having spent many years making fiber arts and quilting before discovering mixed media, there’s still a part of me that loves quilt designs. 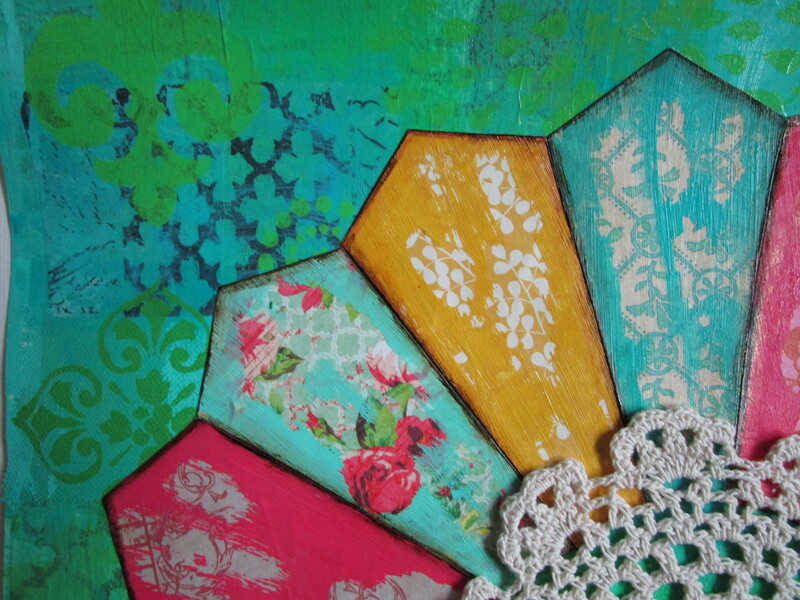 For a few years I’ve been thinking about incorporating quilt designs with mixed media. When I found a dresden plate template recently, I immediately knew what I wanted to do. This piece still needs to be flattened and framed, but I’m pleased with how it turned out and inspired to explore more possibilities with the dresden plate template. This is so dainty, Melanie. Love it. Thank you, Carrie! Hope you’re doing well. I have quilted in the past and this pattern is familiar to me. I love how you have made it come alive and vibrant like this! Thank you, Claudia! Have a great week. I enjoy seeing your art and especially love the collage pieces. Thank you, Christine. Have a great weekend.